Pakistan's thrashing of the hosts England at Lord's after 20 years has many other records in the making. 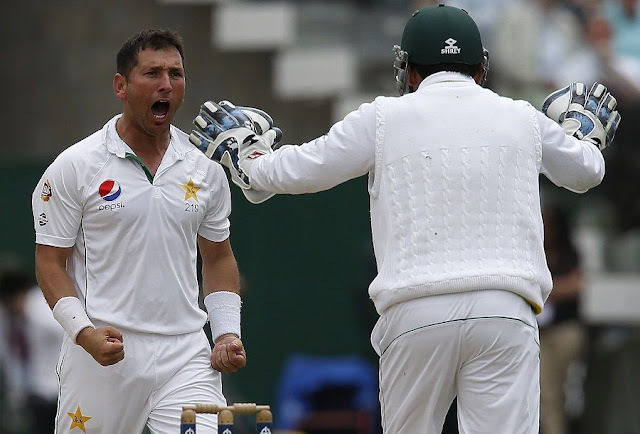 While Misbah became the oldest player to score a century (at 42 years), there is someone more deadly in the Pakistan's squad - leg spinner Yasir Shah. Yasir Shah bagged 10 wickets in the first test match against England at Lord's and moved from no.4 ranking straight to the top of the ranking chart to be first leg spinner in 11 years to reach to the top. He thus displaces England's James Anderson from the No. 1 spot in the ICC rankings for Test bowlers.